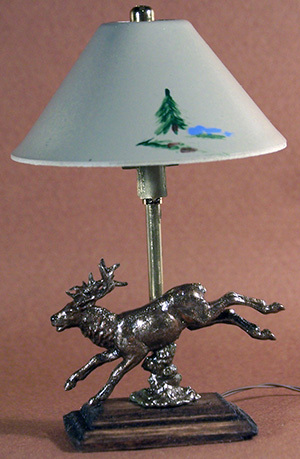 This Floor Lamp is a Great Accent Piece to Compliment our Other Bear Creek Pieces. Hand Painted Shade and Replaceable Bulb. The Lamp Stands About 5 Inches Tall.